THE allegiance people build up to a brand or product over a number of years is an interesting trait, and it is apparent especially in a lot of things automotive - think of the Holden v Ford rivalry at Bathurst each October. In terms of heavy equipment a lot of people in transport have a fondness for a certain brand, and in Australia, a large group of people hold the International Harvester brand dear to their heart. 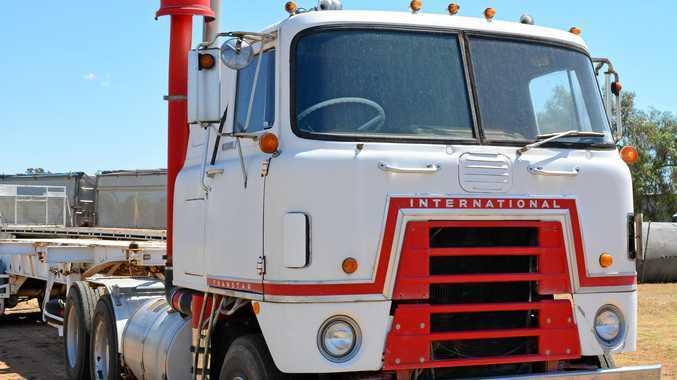 Before the latest incarnation of the International brand in Australia, the "old” International Harvester nameplate was a force across the country, especially during the second half of last century before the bubble burst, with the IH truck division being absorbed into the IVECO Corporation in the 1990s. In that time period, a number of classic models were released and proven on Australian roads from the R190s of the 1960s through to the Transtars and ACCO's of the 1970s and the Atkinson line in the 1980s, with the ACCO model still being manufactured today under the IVECO nameplate at the Dandenong manufacturing facility. Formed in 2003 after a reunion of former IH workers, the International Harvester Club of Australia brings together people who have old IH equipment including trucks and tractors or have an association with the brand. Keith Cowland oversees production of the club's magazine, and provided a background to the club, which boasts a healthy membership. "Over the last 16 years we have had around 1250 members, with the number currently around 470, with representation across Australia, along with Canada, the USA and New Zealand,” he said. Besides Dandenong, IH operated a manufacturing plant in Geelong, and today the IH Club has their headquarters in a pavilion at the Geelong Showgrounds, which houses the club's library, vehicles and memorabilia. Each January the club celebrates all things International as part of the Geelong Classic Truck and Machinery Show, and holds regular meetings along with travel to rallies throughout the year. January 2020 is shaping up to be a major event for the club as it celebrates 70 years since the start of IH manufacturing trucks in Australia. "Trucks were put together in South Melbourne between 1950 and 1952 when the Dandenong plant came on line and has being going gung ho ever since - when Harvester crashed the truck division kept going until IVECO stepped in,” Keith said. As with a lot of such clubs, the range of models and condition of vehicles is diverse, with some members owning both IH trucks and agricultural equipment, with the annual get-together allowing for some to show their true passion for the brand. "We have a bit of a mix of vehicles, some pretty average, some quite good and some really great, one family came down to the last rally with two semis, two Scouts (IH 4x4 model) and three tractors which really makes the event,” Keith said. Keith is in the process of putting together a book of the International truck models over the years, and the club has been building up a collection of memorabilia along with a library of printed material. "We put a call out for brochures and were overwhelmed with the response, with members from as far away as Toowoomba and Western Australia sending them over,” he said. So if you want to see or display some classic International trucks and equipment in the one place, the second weekend in January next year is when it takes place in Geelong. Or, if you have an old AA or C1500, Transtar or S-Line in the shed, then the International Harvester Club of Australia might be for you. Membership is $55 per year, which includes the club's bi-monthly magazine. For further information, Keith Cowland can be contacted on 0418329778, via email keith138@bigpond.com or through the club website at www.ihcaustralia.com.au.